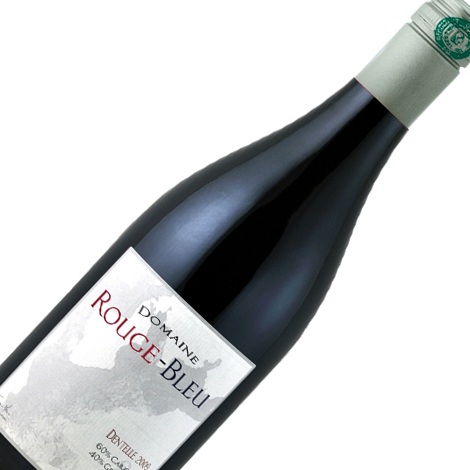 Palate: fresh berries and nutmeg give a light and elegant mouthfeel, complimented by gentle tannins and pleasing acidity. Try it with vegetable salads, fleshy fish or shellfish, cold cuts, pizza, roast chicken, rabbit or bbqs. 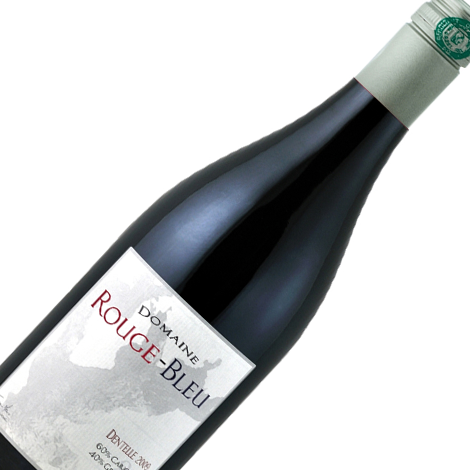 Situated in Sainte-Cécile-Les-Vignes, Domaine Rouge-Bleu uses organic farming principles on all of its 9ha, of which four lie in the Côtes du Rhône appellation. The low yield is the natural outcome of our old, deep-rooted vines that sit on a stony soil of ancient riverbed, which, when coupled with the Mediterranean climate of long, hot, dry summers (including the mould inhibiting Mistral wind) gives the perfect environment for berry maturation. The hand-harvested grapes are not de-stemmed before being put into small porous concrete tanks for fermentation. The mature stems have been kept in order to naturally aerate the must during the winemaking process, bringing sediments and natural acidity to the wine to balance the alcohol and tannins. Maceration of 7-10 days with 3-4 pump-overs during this time. Matured for 12 months before release. Bottled at the domaine.